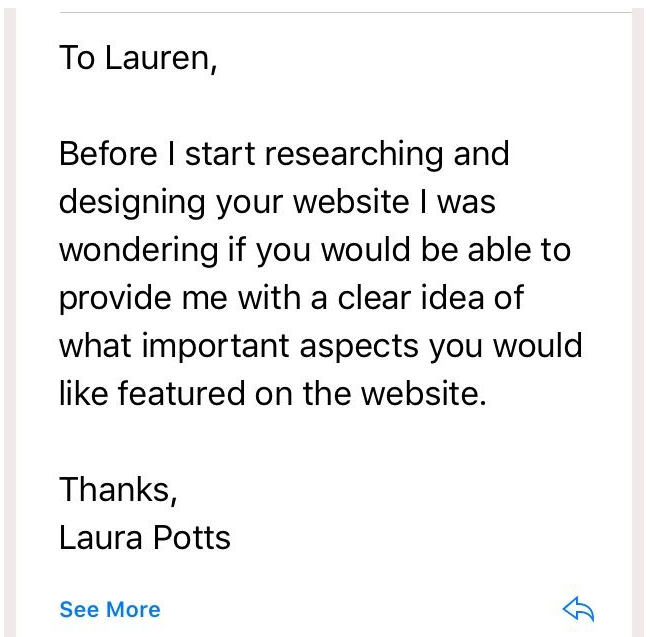 Before researching into who my client’s competitors or users were I contacted Lauren, my client, and asked what she would like from this website and what her vision would be on how the website should look. 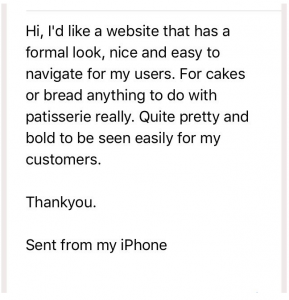 From emails I was able to gather specific colours, fonts and layouts wanted. 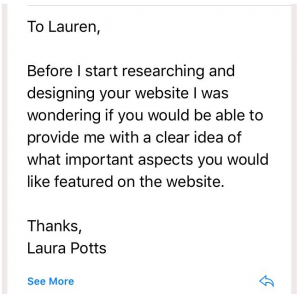 From the email I gathered that Lauren would like a formal approach meaning I would need to look at appropriate fonts and layouts so that her business is presented in a professional manner to her users. 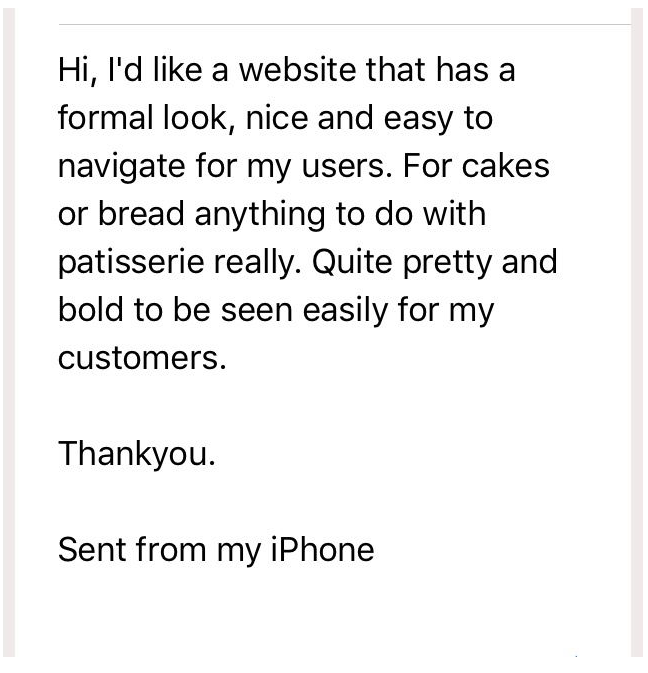 Another important factor from her email is that she would like it to look pretty meaning the colours to use would typically be pink, lilac or pastel colours and I shouldn’t to use dull/dark colours such as brown or green.